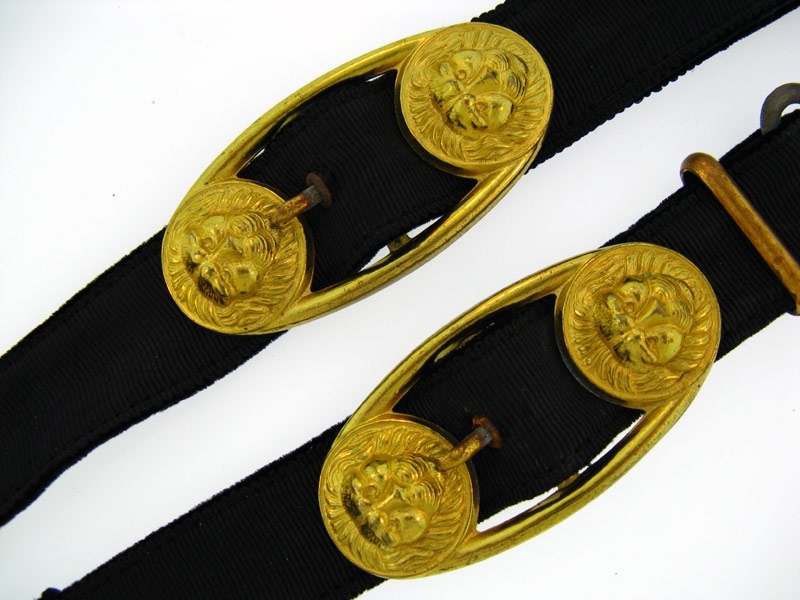 Early good quality, it measures 15.5" in overall length, 100% gilded finish to the lion mask buckles and approximately 75% gilded finish to the push in snap clips. 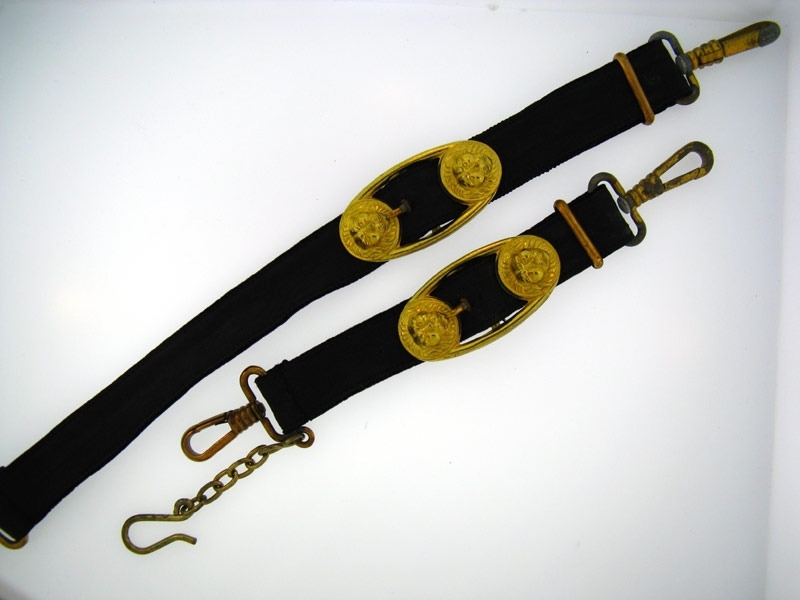 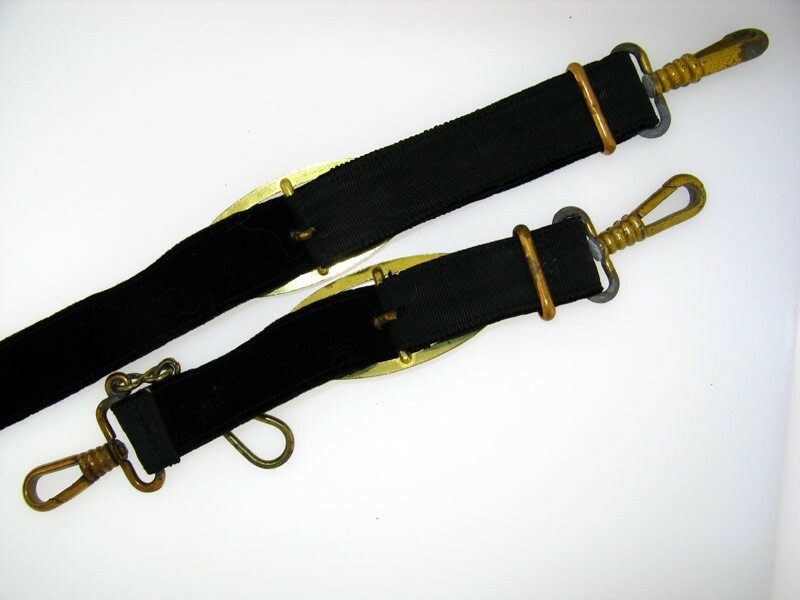 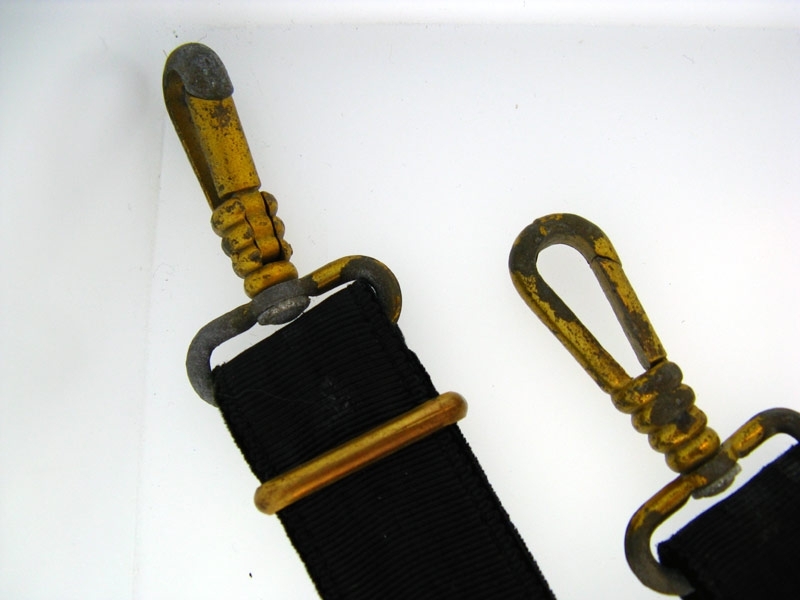 The straps show very minor wear and light age soiling to the satin fronts, very fine condition. 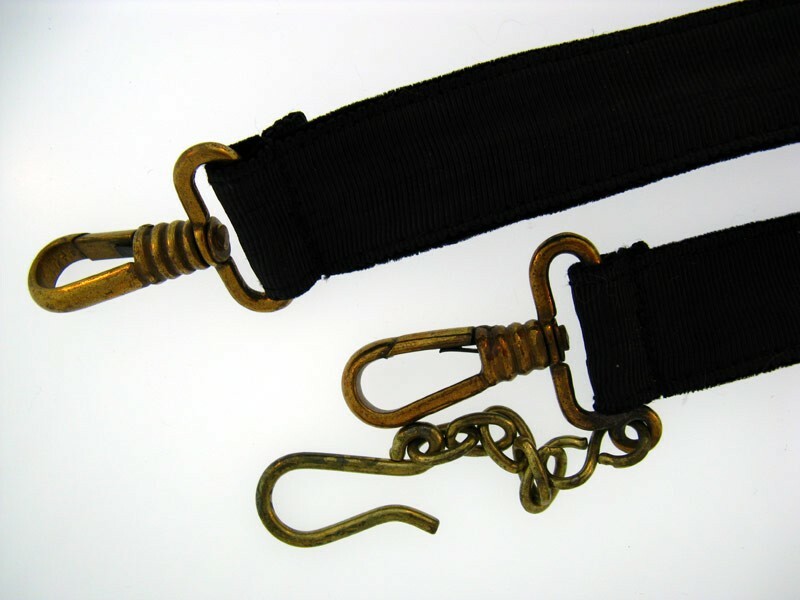 It is complete with the regain hook and chain assembly which appears as zinc alloy base metal.